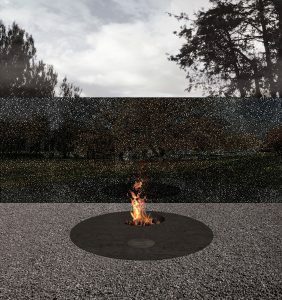 Buxton Contemporary Collection artist Brook Andrew is participating in the 2019 Honolulu Biennial: To Make Wrong / Right / Now co-curated by Scott Lawrimore and Nina Tonga. His film The Pledge (2011), included in the exhibition program, is a satire of Charles Chauvel’s 1955 melodrama Jedda, the first colour film made in Australia, and the first to feature indigenous actors. Retaining the film’s imagery, Andrew rewrites the story within the subtitles, reflecting the violence of colonisation and genocide in a new science fiction narrative. The Honolulu Biennial commences on 8 March 2019 and continues until 5 May 2019 across twelve different locations on O’ahu island, Hawaii. 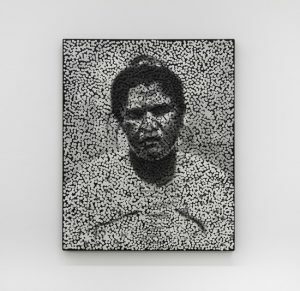 Andrew will also present In Vision of Nuance: Systems of Exposure as part of Now Is the Time: Wuzhen International Contemporary Art Exhibition, curated by artist Feng Boyi in WuZhen, China from 31 March until 30 June 2019. Andrew's work Emu (pictured) is included in our current exhibition National Anthem. 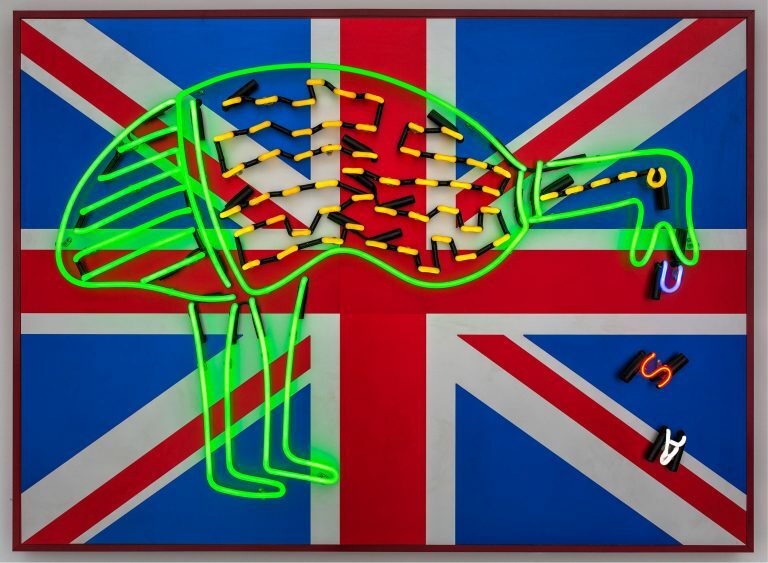 Image: Brook Andrew, Emu, 2004, animated neon on anodised aluminium, edition 4/5, 120 x 164.2 x 15.5 cm. The University of Melbourne Art Collection, Michael Buxton Collection, donated through the Australian Government's Cultural Gifts Program by Michael and Janet Buxton 2018.